The canton Graubünden is a popular holiday destination all year. Davos is one of the towns guests particularly prefer to visit. During summer, surfers and sailors benefit from the favourable winds at the Lake Davos, pleasant water temperatures invite for swimming. The environment offers hiking trails of 700 km length. In Davos, winter sport has a long tradition: In 1883, the first toboggan race took place. Moreover, the town is proud of his natural ice-skating rink in the city. In total Europe there is no larger rink! Speed skaters train here, ice hockey is played here and many people get a kick out of exploring the rink on ice-skates. Five skiing areas with all in all about 300 km piste distances attract skiers and snowboarders as well. Apart from sports, culture absolutely does not come off worst in Davos. For several days, jazz musicians set the tone on concerts on the occasion of the Davos Sounds Good. During the Davos Festival, promising young talents get their chance and prove their musical ability. Nature lovers enjoy a walk in the Alpinum Schatzalp. In the special botanical gardens you can find typical plants of the international mountains. Davos is the highest located town of Europe. Its height of about 1,500 metres offers many advantages: During winter, snow is almost guaranteed, during summer there is no sweltering heat and fog is almost unknown here. Every day you can again let your gaze wander around the beautiful Swiss Alp panorama. In 1853, the doctor Alexander Spengler discovered a further advantage of the region: the mountain air supports the treatment of illnesses of the respiratory tract or allergies. At that time, there was not yet anything doing around in Davos. However, a little bit later this health resort was visited by people from all over the world. After development of the region by a railroad, more and more sanatoriums and hotels opened in Davos. The Hotel Meierhof in Davos has a longstanding history, dating back to the beginning of the 20th century. As a sanatorium, it accommodates patients, with the triumphal procession of winter sports in the region the health-resort hotel becomes a sports hotel. 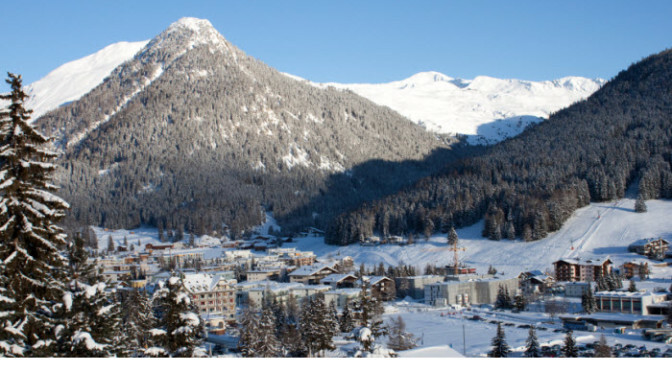 Like other hotels in Davos, e.g. the Club Hotel Davos, guests are awaited with comfort and cosiness. As Spengler was keen on sports, he engaged in the support of sports facilities. In 1922, his son founded the Spengler Cup, which nowadays is still an international sports event in Davos. Ice-hockey teams from all over the world challenge each other between Christmas and the New Years day and ten thousands of visitors stream into town to participate in this event.